Mark Stephen Heyerdahl, age 66, of LaValle, passed away unexpectedly on May 28, 2017, at his home on Dutch Hollow Lake. Mark was born on August 22, 1950, in Ames, Iowa, the son of Lawrence Jr and Betty (Holtan) Heyerdahl. 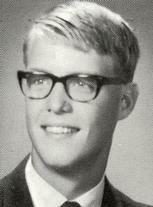 He attended Whitefish Bay High School, graduating in 1968. He went on to earn a degree in education from UW-LaCrosse and later a degree in school administration from UW-Milwaukee (Education Specialist). As a District Administrator, Mark was proud to provide strong leadership for several Wisconsin school districts including: Hillsboro, Slinger, Clear Lake, and Gilman. 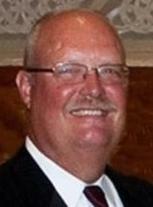 He retired in 2014 after 41 years in Wisconsin education. On March 18, 1978, Mark was united in marriage to Debra K. Scidmore. This marriage of 39 years was blessed with three children. He was active in Lions Club, and after retirement, Habitat for Humanity. Mark enjoyed travel with his wife, golfing, Packer and Badger games, time on the boat, and time laughing with friends. His chief joy and pride were, and always will be, his wonderful children and cherished grandchildren. Mark was preceded in death by his father, Lawrence Heyerdahl Jr; and father-in-law, Herbert Scidmore. Mark is survived by his wife, Debra (Scidmore) Heyerdahl; three children: Kinsey (Dean) Wolf, Jason (Katherine) Heyerdahl, Matt (Jill) Heyerdahl; four grandchildren: Alexandra, Nathan, Parker, and Jameson; mother, Betty Heyerdahl; sister, Nancy (Jeff) Bump; brothers, Dan (Karen) Heyerdahl, Doug (Jill) Heyerdahl, Tim (Kelly) Heyerdahl, Steve (Darcy) Heyerdahl; mother-in-law, Kathleen Scidmore. He was a fun and loving uncle and brother-in-law. We celebrate Mark’s life with a service at 11:00 AM on Friday, June 2, 2017, at St. John Ev. Lutheran Church, 307 6th Street, Reedsburg, WI. Pastor David Glesne will officiate. Visitation will be on Friday morning from 9:00 AM until the time of the service at the church. Memorials may be made to the Gilman Schools-Heyerdahl Scholarship and sent to: Gilman School District Scholarship Fund 325 N Fifth Avenue, Gilman, WI 54433. Attention: Georgia Kraus.